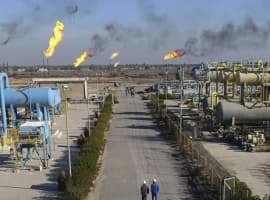 Oil prices plunged on Wednesday and Thursday, dropping to their lowest levels since December when the optimism surrounding the OPEC deal was just getting underway. WTI dipped below $50 for the first time in 2017 on March 9, a two-day loss of more than 8 percent. The catalyst for the sudden decline in prices was yet another remarkably bearish report from the EIA, which showed an uptick in crude oil inventories by 8.2 million barrels last week. That takes crude stocks to another record high, and it was the ninth consecutive week of inventory builds. Up until now, oil speculators have taken the unusual increase in crude inventories in stride. Instead of paring back their long positions, hedge funds and other money managers doubled down over the past two months, putting more money into bullish bets, hoping that the OPEC production cuts would outweigh the comeback in U.S. shale. The result was a shocking level of bullish bets on WTI and Brent, creating a lop-sided position in the futures market. 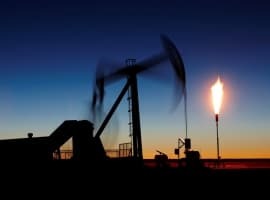 That is not necessarily a problem if market conditions are tightening, as many investors believed, but it begins to look unbalanced if in fact the oil market is still oversupplied. The pace of adjustment in the physical market for crude oil is starting to drag on, and investors are getting anxious. With so many investors having staked out bullish bets, oil prices are exposed to sharp and sudden corrections if they unwind those positions. And that may be starting to occur. It was just a matter of time before sentiment shifted, and another week of enormous crude inventory builds might have been a too much to stomach. “When you look at a very visible marker like the weekly U.S. inventories and you see that crude stocks are still rising, then some of these market participants may begin losing a bit of faith in the effectiveness of producer restraint,” Harry Tchilinguirian, head of commodity strategy at BNP Paribas SA, told the WSJ. Saudi Arabia’s energy minister also warned industry participants at the Houston Conference that his country would not bail out shale drillers if such a situation occurred. 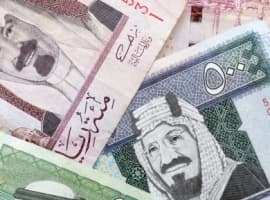 It would be "wishful thinking" to expect that Saudi Arabia and OPEC "will underwrite the investments of others at our own expense" by slashing production further, Saudi energy minister Khalid al-Falih said. The fact that U.S. crude inventories are breaking records every week and oil prices have failed to post any gains so far in 2017 offers some evidence into the notion that the comeback in the U.S. oil industry is undermining the effectiveness of the OPEC deal. OPEC has achieved a much higher compliance rate than the market expected, posting steep cuts in output, yet the market fundamentals are improving at a much slower pace than everyone anticipated. That largely is the result of the sharp uptick in U.S. output, now up nearly 600,000 bpd since last summer. In the most recent data release alone, the EIA reported an uptick in production by about 56,000 bpd, a large jump for a single week. Production is now up to 9.088 million barrels per day, the highest level in over a year. Related: Will Exxon’s New $20 Billion Strategy Pay Off? Oil traders have been optimistic regarding prices for several months now, betting that OPEC would accelerate the adjustment towards balance. But the sharp rise in U.S. production is deflating the rally. Schieldrop went on to sum up the predicament for OPEC: “[W]hat will OPEC do in the face of strongly rising US crude oil production? They can decide to make cuts in H2 2017, but does this make sense? We don’t think so. The U.S. shale oil production response is too fast and too flexible.” If OPEC feels that cutting back is futile, they could pass on a six-month extension. That would certainly mean more losses for WTI and Brent are ahead. Probably more accurate to say hidden and floating storage killed it. Same thing happened last year into June and the summer. Mass confusion about why crude wasn't drawing, but the contango flattening was causing all kinds of storage to flood into the US inventory reports. Only, that time it happened going into maintenance and low demand season. This year, it's happening as we approach demand season. Great to see U.S. shale oil get the attention of the OPEC cartel and become a major player at influencing prices. Long gone should be times like in the '70's when OPEC lied to the world it was running out of oil. It's about time a competitor to OPEC come to the market with such an influence. Hopefully the shale industry can learn how to effectively manage their wonderful contribution to the world oil market. Didn't US Oil Producers have a bunch of drilled, but not fraced wells waiting for a favorable price before fracking and finishing the well. I am guessing the US Oil Producers figured the oil price would produce a profit (and if Opec and the other kept dropping their market share), then the US Oil producers could move in and snap up market share. OPEC is living in the past. If OPEC had kept the price of oil down, there would not have been capital to figure out fracking. But, due to the greed of OPEC, they are no longer the tail that walks the dog. Once down the slippery slope and there is no going back - you can't put the fracking genie back into the bottle! As with most natural resource extraction, you invest when prices are high (because you have capital) and you lay low when prices are low. So, Prices will go back up eventually (my crystal is a bit foggy), which enables capital to seek further supplies. Oil starts flowing in the Dakota Access Pipeline next week. So, the US is taking market share away from OPEC and others and the price is dropping. My hunch is that countries that have honored the pumping cap will freak when they are pulling in less money and start pumping the snot out of their wells. Saudi Arabia is in bad shape. It has to fund it's lazy welfare state with oil revenue. The only thing OPEC cuts do is make the US more efficient and less costly at pumping shale. Projections show that by 2019 shale oil will cost less to produce than Saudi oil.